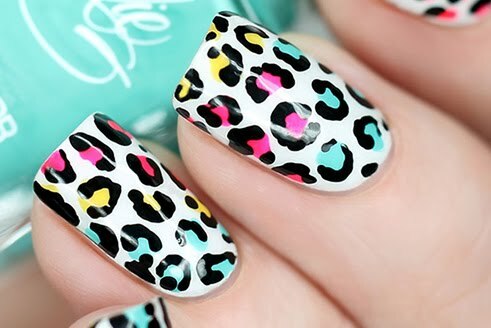 This is actually tomorrow's post, but I couldn't wait because I love this mani so much. It's a jelly sandwich (jelly, glitter, jelly) using Butter London's Disco Biscuit and Essie Luxe Effects Set in Stones. 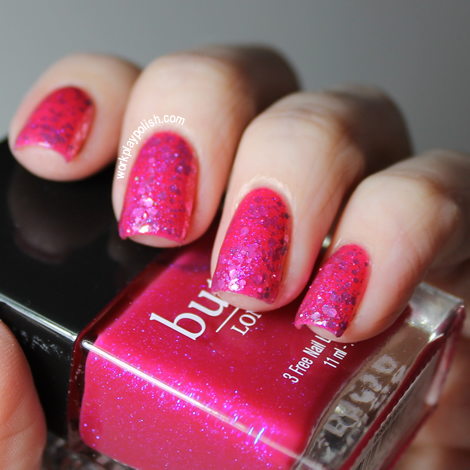 Disco Biscuit is a hot pink jelly polish with purple and blue microglitter. You can see good swatches of the polish on its own (and the rest of the Butter London Spring & Summer 2012 line) here. By itself, Disco Biscuit requires a good three to four coats for opacity and dries a little matte and bumpy (almost like a neon glitter polish). But a thick topcoat does wonders and it's pretty impressive if you stop there. Set in Stones is a silver glitter in a clear base. The glitter is different sizes and shapes, which I think makes a jelly sandwich interesting. 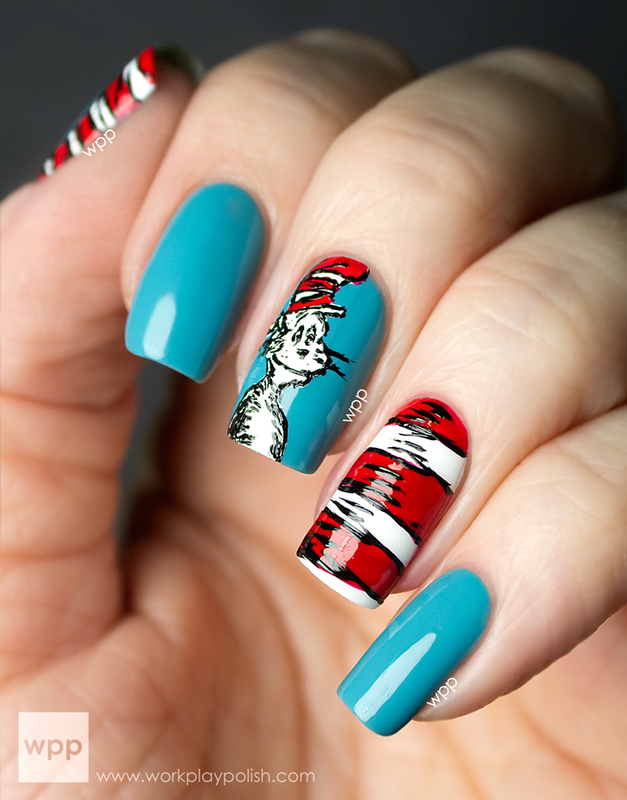 This mani has a gazillion coats. The Seche Vite really helps to smooth everything out and give it that cough medicine "suspension liquid" look. This didn't look too thick or take too long to dry. I love it (but I always say that).